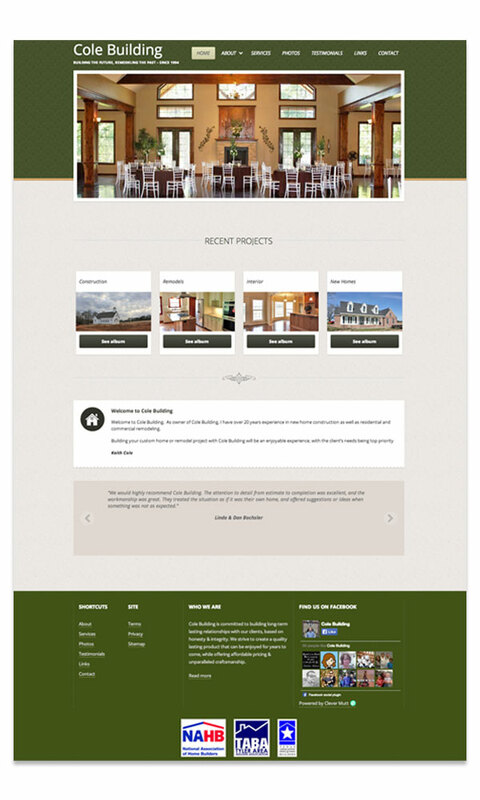 "We have viewed our live website and are very happy! I want to thank you for all that you have done. We are completely satisfied and look forward to doing more business with you!" 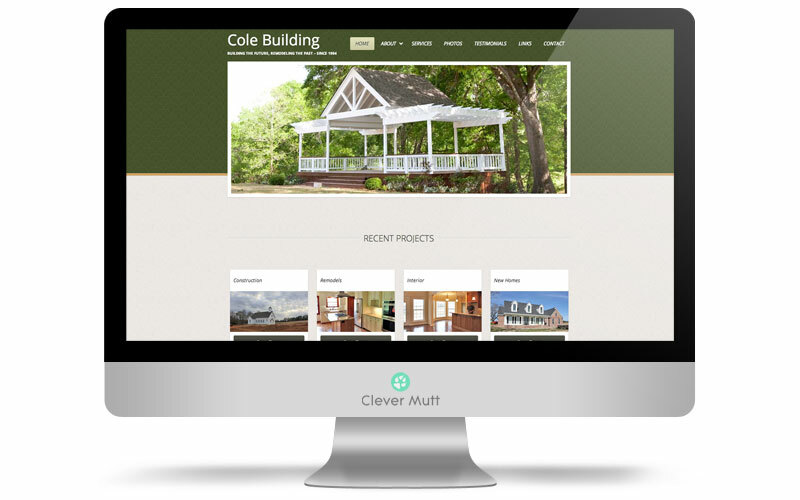 Cole Building hired Clever Mutt™ to provide a fresh and mobile responsive website, powered by the Clever Mutt™ Portal web CMS for ease of self-management. 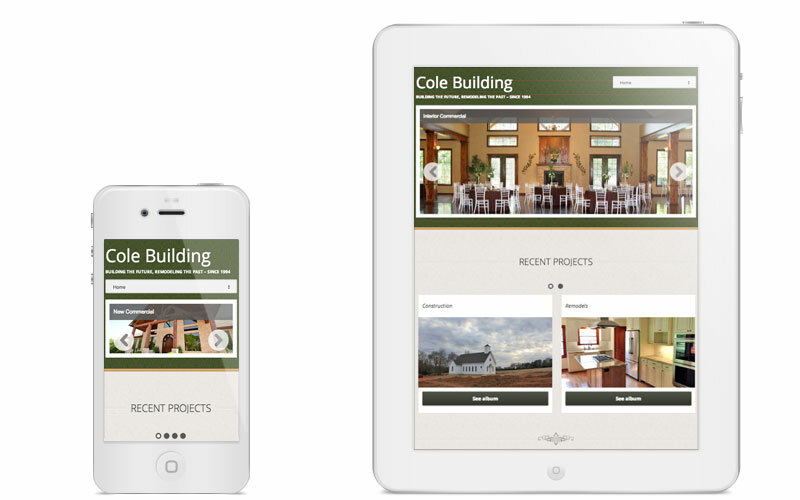 Building your custom home or remodel project with Cole Building will be an enjoyable experience, with the client's needs being top priority. Cole Building is committed to building long-term lasting relationships with our clients, based on honesty & integrity. We strive to create a quality lasting product that can be enjoyed for years to come, while offering affordable pricing & unparalleled craftsmanship.